The high-speed Internet service provider announces installment of its next generation network to serve business in Alexandria City and surrounding areas. It made sense to invest in this market to bridge the gap and extend our reach here as the only true alternative to the legacy networks for both performance and redundancy. 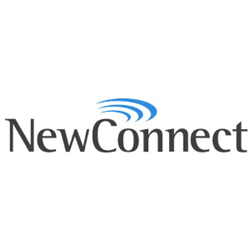 NewConnect, LLC, the Mid-Atlantic region’s leading fixed wireless Internet provider, announces its expansion of services into the Northern Virginia area. With the installment of its new Alexandria Internet gateway, NewConnect can reach any office building at Gig speeds within days with a faster, more reliable, and more affordable alternative to fiber. Alexandria business now have access to business-critical Internet speeds from 100 to 1000 Mbps. NewConnect’s network was purpose-built above ground to avoid the bottlenecks and to eliminate the threats of underground telecom infrastructure, such as floods, fires, and construction. “The growing demand and dependency for greater capacity throughout the market did not seem to coincide with the technology available, so we responded. It made sense to invest in this market to bridge the gap and extend our reach here as the only true alternative to the legacy networks for both performance and redundancy,” said Oscar Williams, Vice President of Sales and Marketing at NewConnect. Ironistic, a web development and online marketing firm, was the first company in Alexandria set up on NewConnect’s network. Founded in 2011, NewConnect was formed as an alternative to the incumbent phone and cable companies. By combining great technology and great people, it has become the preferred service provider for commercial buildings, non-profits, associations, and government agencies throughout the Washington, D.C. metropolitan area. For more information, visit us at https://gonewconnect.com/ or call 800-436-3098 to request a demo. NewConnect, LLC is a DC-based ISP serving enterprises, multi-tenant buildings, and federal government agencies throughout the District of Columbia, Northern Virginia, and Maryland. Founded in 2011 with experienced leadership, hands-on service, superior technology, and the unique ability to provide access to any building at any time, NewConnect is the ideal choice for businesses looking to upgrade or secure their cloud connectivity.